A mid century ranch home that has been updated with an amazing kitchen with all of the bells and whistles. Great open floor plan makes this the perfect home for entertaining. The huge island in the kitchen welcomes every one to join the cook in the preparation. The kitchen even includes a built in beer tap and wine cooler. There are wood floors throughout the main floor plus 2 updated baths and three bedrooms. There is also an attached screened porch and a mud room that has laundry hook ups and even a dog shower. (Laundry hook ups in the mud room are behind the dry wall). The walk out lower level has a rec room and another large room with a closet that could be a 4th bedroom. The full bath in the lower level has also been updated and less we forget, there is room for storage. 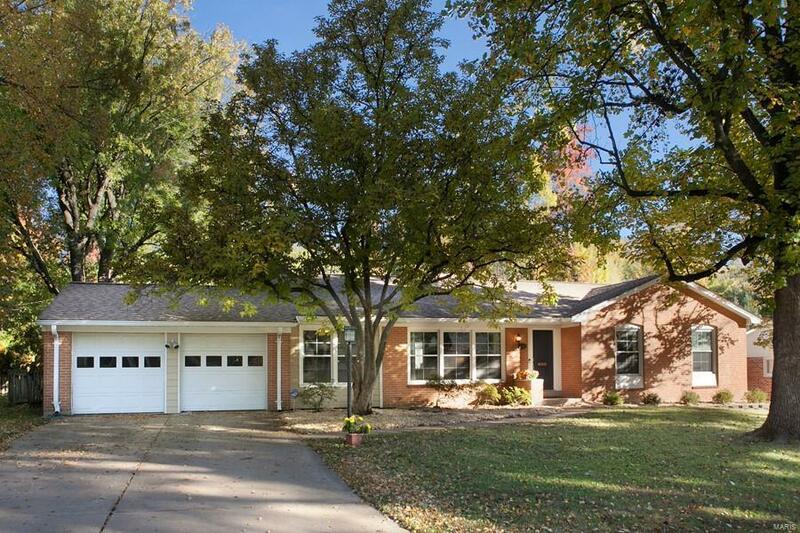 Great Kirkwood location with easy access to highways and shopping.